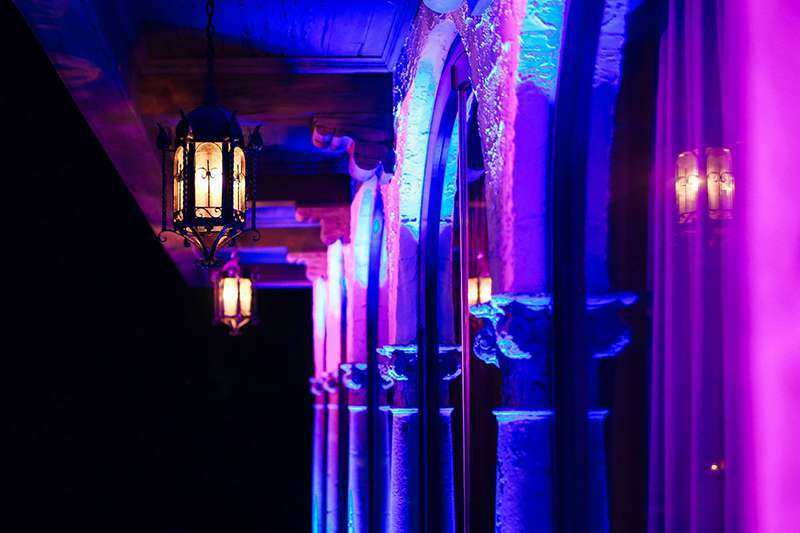 Set the Perfect Atmosphere in Your Events With 3D Lighting & Uplighting Services - UKi Productions | Wedding/event production company | Miami, West Palm Beach, South Fl. 3D Mapping - Our 3D mapping projectors transform your buildings and objects into a canvas so you can run anything on them. We provide a high-quality 3D mapping that does not only effaces the architecture it is projected onto but enhances it. Whether it’s an opening of a building, product launch, any award ceremony, or any other corporate and private events, our 3D mapping technology will make your events grand. Uplighting - Our uplights transform your conventional rooms into an astounding visual experience and instantly elevate the appearance of your surroundings. We will light up the dance floor and accent objects throughout the space, which will make you and your guests go "wow". Give us a chance to create a captivating environment in your event, and we promise you that you won’t be let down by us.